Want to learn a little about using CAD? How about 3D printing? Jonny Lee is back with a video to show you how it’s done. It has been a little while since Jonny Lee put out a video showing you his 3D printed BMX parts, but he’s back with a real rad one for you today. This time around he has decided to 3D Print some bar ends, but instead of just printing it and showing you the end result, he decided to also teach you how to use Free CAD software to design the bar ends, then take that to the 3D printer and then get a look at the end product. This might be a little over some of your heads, but if you just watch it, you will pick up a few things along the way. Real cool. “In today’s video I walk you through how to design a pair of BMX bar ends using the free 3D modeling software, FreeCAD. We all know the importance of Bar Ends thanks to the scientific testing Mat Hoffman and Dennis McCoy did (WARNING: GRAPHIC), so it’s always important to run ’em. Deco just released this short but sweet promo featuring Chad DeGroot and their new Pac Bar ends. The Pac bar ends are made right here in the U.S.A by Profile Racing out of 7075-T6 aluminum with a flush bolt design to clamp them to your bars and smooth, rounded edges to ensure you don’t end up cutting yourself open. The Pac Ends weigh in at 0.7 oz. each and are available through Deco dealers and online for $29.99 worldwide now. BSD have released their new Surplus green colorway on their Reed Stark signature Safari Pedals, the Dan Paley signature Slims grips, along with the Forever Lo and Hi grips and the new M-Caps bar ends. 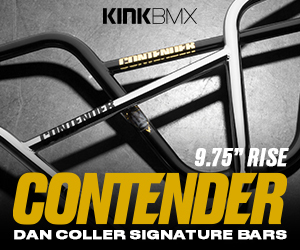 These are available through BMX shops and mail-orders that carry BSD worldwide now! Due for some new bar ends? Demolition Parts have just released these collaboration bar ends with Markit for you to get your hands on. They’re CNC machined from 7075-T6 aluminum with a small grub screw to keep them from sliding off! Hit up your favorite BMX shop or mail-order that carries Demolition Parts to get a set today! Well, that’s one way to test some Bar Ends. The guys over at Merritt giving their Insert bar ends, which feature a metal washer, a test compared to a regular nylon bar end to see what kind of abuse it can withstand. After watching Mike Brennan slam on the bar ends with a hammer, it’s safe to say these things were built to take the abuse that BMX can throw at it. 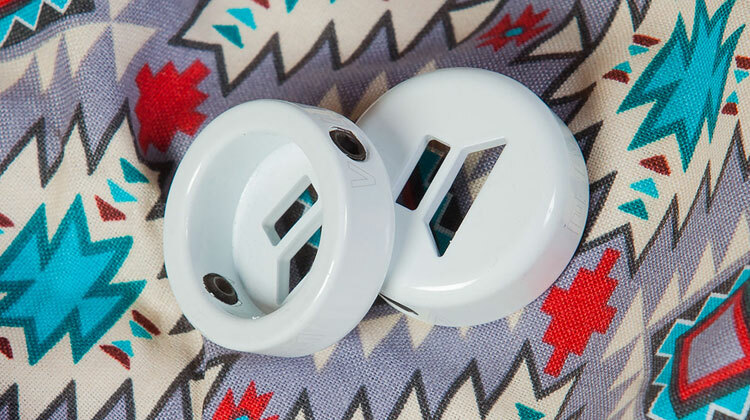 Since the introduction of the ever popular plug style nylon bar ends, we haven’t seen a lot of changes other than colors and some of the designs on the ends of the plug. Merritt offer a bar end with a washer on the inside, which helps prevent the plug from jamming into the bars and breaking off, but they’re still no protected on the outside, which is usually the source cause of them breaking. BSD‘s M-Caps, which are hitting BMX shops and mail-orders around the world, are a dual material plug style bar end that features an aluminum ring that wraps around the outside of the nylon plug, and gives a barrier between the bars and any impacts that might hit the plug, helping to reduce the chance of it breaking. The M-Caps are available in colors of black, chocolate, Surplus green, dark red, grey and Dust blue with a black aluminum ring.